In addition to being regulated by the Fair Debt Collection Practices Act (FDCPA), North Dakota collection agencies are also regulated by North Dakota debt collection laws. Discover: North Dakota collection requirements, bad check laws (NSF), statutes of limitations for both debts and judgments, garnishments plus North Dakota collection agency license and bonding information. Amount due, collection fees of $20, and $100 or 3x check whichever is less. Greater of 75% or amount each wk. = to 40 x fed. min. hourly wage. Plus $20.00 each household dependent. § 13-05-01. Administration. The department of financial institutions shall use its facilities to administer and enforce this chapter. Any person or persons delegated to administer this chapter may not have financial interests directly or indirectly in any business which is subject to this chapter. 1. “Collection agency” means a person or entity who, in the ordinary course of business, engages in debt collection. 2. “Commissioner” means the commissioner of financial institutions. 3. “Communication” means the conveyance or receipt of information regarding or facilitating the collection of a debt, directly or indirectly, to or from any person through any medium. 4. “Creditor” means a person who offers or extends credit creating a debt or to whom a debt is owed, but that term does not include a person to the extent that that person receives an assignment or transfer of a debt in default solely for the purpose of facilitating collection of that debt for another. 5. “Debt” means an obligation or alleged obligation to pay money arising out of a transaction, whether or not the obligation has been reduced to a judgment. 6. “Debt collection” means the act of collecting or attempting to collect, directly or indirectly, debts owed or due or asserted to be owed or due another. As used in this chapter, this term also includes solicitation of debts for the purpose of collection and accepting assignment of debts for the purpose of collection. 7. “Mortgage servicing company” means a company performing the required duties of a mortgage seller, such as collecting payments, releasing the lien on full payment, and confirming that taxes are paid and insurance is in force. § 13-05-02. Collection agency license required. Except as otherwise provided in this chapter, no person, other than a collection agency licensed and authorized under this chapter, may engage in debt collection in the state of North Dakota without a collection agency license issued by the commissioner. A person engages in debt collection in North Dakota if the debtor resides in North Dakota. A collection agency licensed under this chapter is permitted to operate and maintain branch offices provided the collection agency license was issued in a North Dakota location. Branch offices are permitted without limitations or restrictions as to number or geographic location. The commissioner may grant approval for each branch office which must be submitted by an application. When used in this chapter, “branch office” means a location other than the location where the collection agency license was granted and where a collection agency collects or receives payments within a building site. 1. Notwithstanding sections 13-05-02 and 13-05-02.3, a collection agency attempting in any manner to collect child support as defined in section 14-09-09.10 must be licensed under this chapter if either the child support debtor or creditor reside within this state, if the child support debt arises under an order issued by a court of this state, or if a record of the child support debt is being maintained on the statewide automated data processing system under section 50-09-02.1.
c. Designate a current child support payment as past-due support or other amount owed. 3. If the child support debt arises under an order issued by a court of this state, or if a record of the child support debt is being maintained on the statewide automated data processing system under section 50-09-02.1, all child support payments collected by a collection agency must be paid to the department of human services within five business days for disbursement under section 14-09-25. Child support payments disbursed under section 14-09-25 may not be redirected to a collection agency unless specifically permitted by rules adopted by the department of human services. 4. A collection agency failing to pay child support payments to the department of human services as required in this section is liable to the obligor for three times the amount improperly withheld by the collection agency or five hundred dollars, whichever is greater, in addition to any other remedy or damages permitted by law. The department of human services is not required to give credit for payments withheld by a collection agency in violation of this section. 5. Any person contracting for services with a collection agency for the collection of child support may cancel the contract without a fee or charge upon thirty days’ written notice. Entities exempt from licensing requirements. 14. A person whose activities are limited to collecting debts from debtors located in this state by means of interstate communications, including telephone, mail, or facsimile transmission from the person’s location in another state if the person is licensed and bonded in that state and that state has enacted similar legislation. Application for a collection agency license. 1. The full name and proposed business name of the applicant. 2. The address where the business is to be conducted. 3. The names and addresses of the applicant and those associated with the applicant. If the applicant is a corporation, the application must contain the names of the officers of the corporation. If the applicant is a limited liability company, the application must contain the names of the managers of the limited liability company. The applicant must register with the North Dakota secretary of state if so required. 4. Such additional information which the department of financial institutions shall require. Application requirements – Fee and bond to accompany application for collection agency license. The application for a collection agency license must be in writing, under oath, and in the form prescribed by the commissioner. The application must give the location where the business is to be conducted and must contain any further information the commissioner requires, including the names and addresses of the partners, officers, directors, trustees, and the principal owners or members as will provide the basis for the investigation and findings contemplated by section 13-05-03. At the time of making such application, the applicant shall include payment in the sum of four hundred dollars, which is not subject to refund, as a fee for investigating the application, and the sum of three hundred dollars for the annual license fee, and provide a surety bond in the sum of twenty thousand dollars. In addition, the applicant shall pay a fifty dollar annual fee for each branch location. Fees must be deposited in the financial institutions regulatory fund. Expiration and renewal of license. All licenses required herein expire on June thirtieth of each year and may be renewed. Applications for renewal must be submitted thirty days before the expiration of the license and must be accompanied by the required annual fees, which are not subject to refund. The form and content of renewal applications must be determined by the department of financial institutions and a renewal application may be denied upon the same grounds as would justify denial of an initial application. When a licensee has been delinquent in renewing the licensee’s license, the department may charge an additional fee of fifty dollars for the renewal of the license. A collection agency license is not transferable. If the commissioner determines that an ownership change has occurred in a sole proprietorship, partnership, limited liability partnership, corporation, or limited liability corporation that was previously granted a collection agency license, the commissioner may require a new application from the purchaser. The application must be filed within forty-five days from the date change of ownership is consummated. The department shall act on the application within sixty days from the date the application is received but may extend the review period for good cause. The collection agency license granted to the previous owner continues in effect to the new purchaser until the application is either granted or denied. 1. Determine the qualifications of all applicants based on financial responsibility, financial condition, business experience, character, and general fitness which must reasonably warrant the belief that the applicant’s business will be conducted lawfully and fairly. In determining whether this qualification is met, and for the purpose of investigating compliance with this chapter, the commissioner may review and consider the relevant business records and capital adequacy of the applicant and the competence, experience, integrity, and financial ability of a person who is a member, partner, director, officer, or twenty-five percent or more shareholder of the applicant. 2. Conduct investigations and make an examination of any licensee or licensee’s place of business, including all records of such business, and to subpoena witnesses anytime it has reason to believe such is necessary. The licensee shall pay an examination or visitation fee and must be charged by the department of financial institutions at an hourly rate to be set by the commissioner, sufficient to cover all reasonable expenses of the department associated with the examination or visitation provided for by this section. Fees must be paid to the state treasurer and deposited in the financial institutions regulatory fund. 3. Establish codes of ethical conduct for licensees. 4. Adopt any and all rules and regulations necessary to carry out the purpose of this chapter. 5. Issue and serve upon any person or licensed collection agency an order to cease and desist to take corrective action when the department has reason to believe the person or agency is violating, has violated, or is about to violate the provisions of this chapter. An interested party may appeal issuance of a cease and desist order under the provisions of chapter 28-32 by filing written notice of appeal within twenty days after service of the order. Suspension and removal of collection agency officers or employees. c. Performing any act of commission or omission or practice which is a breach of trust or a breach of fiduciary duty. 2. The complaint must contain a notice of opportunity for hearing pursuant to chapter 28-32. 3. If no hearing is requested within twenty days of the date the complaint is served upon the officer or employee, or if a hearing is held and the commissioner finds that the record so warrants, the commissioner may enter an order suspending or temporarily removing the employee or officer from office for a period not exceeding three years from the effective date of the suspension or temporary removal. 4. A contested or default suspension or temporary removal order is effective immediately upon service of the order on the officer or employee and upon the collection agency. A consent order is effective as agreed. An officer or employee suspended or temporarily removed from office pursuant to this section is not eligible, while under suspension, for reinstatement to any position within a licensed collection agency. 5. When an officer or employee, or other person participating in the conduct of the affairs of a collection agency is charged with a felony in state or federal court which involves dishonesty or breach of trust, the commissioner may immediately suspend the person from office or prohibit the person from any further participation in the collection affairs, or both. The order is effective immediately upon service of the order on the collection agency and the person charged and remains in effect until the criminal charge is finally disposed of or until modified by the commissioner. If a judgment of conviction, federal pretrial diversion, or similar state order or judgment is entered, the commissioner may order that the suspension or prohibition be made permanent. A finding of not guilty or other disposition of the charge does not preclude the commissioner from pursuing administrative or civil remedies. 6. Under this section, a person engages in conduct “willfully” if the person acted intentionally in the sense that the person was aware of what the person was doing. a. Make such public or private investigation within or outside this state as it deems necessary to determine whether a person has violated or is about to violate a provision of this chapter or a rule or order under this chapter, or to aid in the enforcement of this chapter or in the adopting of rules and forms under this chapter. b. Require or permit a person to file a statement in writing, under oath or otherwise as the department determines, as to all the facts and circumstances concerning the matter to be investigated. c. Publish information concerning a violation of this chapter or a rule or order under this chapter. 2. For the purpose of an investigation or proceeding under this chapter, the department of financial institutions may administer oaths and affirmations, subpoena witnesses, compel their attendance, take evidence, and require the production of books, papers, correspondence, memoranda, agreements, or other documents or records which the department deems relevant or material to the inquiry. 3. In case of contumacy by, or refusal to obey a subpoena issued to, a person, the district court, upon application by the department of financial institutions, may issue to the person an order requiring the person to appear before the department, there to produce documentary evidence if so ordered or to give evidence touching the matter under investigation or in question. Failure to obey the order of the court may be punished by the court as a contempt of court. 4. A person is not excused from attending and testifying or from producing a document or record before the department of financial institutions, or in obedience of the subpoena of the department or in a proceeding instituted by the department, on the grounds that the testimony or evidence, documentary or otherwise, required of the person may tend to incriminate the person or subject the person to a penalty or forfeiture; but an individual may not be prosecuted or subjected to a penalty or forfeiture for or on account of a transaction, matter, or thing concerning which the person is compelled, after claiming the privilege against self-incrimination, to testify or produce evidence, documentary or otherwise, except that the individual testifying is not exempt from prosecution and punishment for perjury or contempt committed in testifying. Manner in which records and funds to be kept by collection agency. Every collection agency licensed under this chapter shall keep a record of all sums collected by it and of all disbursements made by it for a period of six years from the date of last entry thereon. The records of a licensee may be maintained electronically provided they can be reproduced upon request of the department of financial institutions and within the required statutory time period provided in this section. No collection agency, or any employees thereof, may intentionally make any false entry in any such collection agency record or intentionally mutilate, destroy, or otherwise dispose of any such record within the time limit provided in this section. No licensee under this chapter may commingle the money of collection agency customers with other than collection funds and shall maintain a separate bank account for such customer’s funds and shall keep such funds in the bank account until disbursed to the customer. An applicant, licensee, or other person subject to the provisions of this chapter shall comply with requests for information, documents, or other requests from the department of financial institutions within the time specified in the request, which must be a minimum of ten days, or, if no time is specified, within thirty days of the mailing of the request by the department of financial institutions. If the request for information is in regard to a new application or renewal of an existing application and is not received within the time specified in the request, or within thirty days of the mailing of the request, the department may deny the application. Revocation of license – Suspension of license – Surrender of license – Preexisting contracts. 1. The department of financial institutions may, if it has reason to believe that grounds for revocation of a license exist, send by registered or certified mail to the licensee, a notice of hearing stating the contemplated action and in general the grounds thereof and setting the time and place for a hearing thereon. Such hearing may not be held less than ten nor more than thirty days from the date of mailing such notice. Within ten days after such hearing, the department of financial institutions shall issue a written order either dismissing the charges or suspending or revoking the license and the grounds therefor. A copy of such written order must be sent to the licensee. a. The licensee has failed to pay the annual license fee. b. The licensee, either knowingly or without the exercise of due care to prevent the same, has violated any provision of this chapter or any regulation or order lawfully made pursuant to and within the authority of this chapter. c. Any fact or condition existing at the time of the original application for such license which clearly would have warranted the department of financial institutions in refusing originally to issue such license. 2. If the department of financial institutions finds that probable cause for revocation of any license exists and that enforcement of the chapter requires immediate suspension of such license pending investigation, it may, upon written notice, enter an order suspending such license for a period not exceeding thirty days, pending the holding of a hearing as prescribed in this chapter. 3. Any licensee may surrender the licensee’s license by delivering it to the department of financial institutions with written notice of its surrender, but such surrender does not affect the licensee’s civil or criminal liability for acts committed prior thereto. Biennial report. The commissioner of financial institutions shall submit a biennial report to the governor and the secretary of state in accordance with section 54-06-04. Remedies not exclusive. 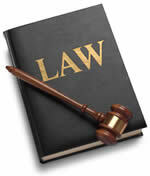 The remedies provided for in this chapter are in addition to and not exclusive of any other remedies provided by law. Penalty. Any person violating any of the provisions of this chapter is guilty of a class C felony. The commissioner may impose a civil money penalty not to exceed five thousand dollars per violation upon a person or agency who willfully violates a law, rule, or order under this chapter. An interested party may appeal the assessment of a civil money penalty under the provisions of chapter 28-32 by filing a written notice of appeal within twenty days after service of the assessment of civil money penalties. A civil money penalty collected under this section must be paid to the state treasurer and deposited in the financial institutions regulatory fund. Knowing and abiding to the proper North Dakota debt collection laws is important for both creditors and collection agencies alike. There are debtor’s rights attorneys who are just waiting for creditors or collection agencies to slip up. If you mistakenly violate the North Dakota debt collection laws, you could create a liability for your business and even open yourself up to a expensive lawsuit. Please note: North Dakota debt collection laws can change over time, and you need to consult with an attorney before you use this information.